Representing the next generation of the world's best-selling and most trusted enterprise mobile computer family, the MC9300 builds on the MC9000 Series and makes it even better. It delivers unsurpassed power and performance while continuing the legacy of rugged, reliable construction and superior all-day comfort. 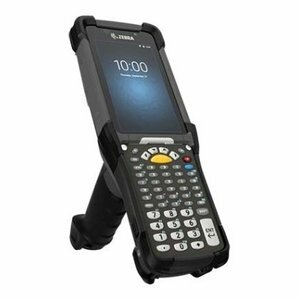 The MC9300 boasts the very best of today's mobile technologies, the latest Android OS (Oreo)—and new Mobility DNA solutions to help customers get more from their mobile device investment. The MC9300 and MC9000 Series offer one of the most robust accessory families in their class, so customers can customize a solution to meet their unique application and backroom needs. The MC9300 is backward compatible with many MC9200 accessories, such as the soft holster and hand strap. Customers can use their existing MC9200 device charging solutions by adding an adapter cup.